JACKSONVILLE - Elizabeth Adee Rowand, 83, of Jacksonville, died Tuesday, January 29, 2019 at New Hanover Regional Medical Center in Wilmington. Funeral services will be held at 11:00 AM on Thursday at Jones Funeral Home, Jacksonville Chapel with Rev. Phil Phillips officiating. Burial, with military honors, will follow at Coastal Carolina State Veterans Cemetery. 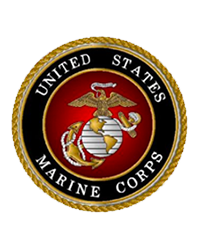 Mrs. Rowand was a veteran of the United States Marine Corps. She was preceded in death by her husband, Raymond L. Rowand; two sons, David C. Rowand and Patrick E. Rowand; and a daughter-in-law, Katie Rowand. Survivors include two sons, Phillip Rowand and his wife, Virginia Rowand of Jacksonville and Raymond C. Rowand of TN; three daughters, Elizabeth Frye of Jacksonville, Diana Anaya and her husband, Chris Anaya of MI and Patricia Szini of KS; one brother, Phillip Adee of NY; her niece, Karen Garlick of NY; daughter-in-law, Brandi Rowand; 15 grandchildren, Jarroll Frye, Nikki Pearson, Stephanie Burger, Nicholas G. Burger, II, Amanda Rowand, Katie Rowand, Kacey Vladik, Olivia Rowand, David Rowand, Jr., Brandon Rowand, Rachéll Rowand, Samantha Cooley, Stephanie E. Fratto, Jonathon K. Ramsey and Thomas A. Ramsey; and nineteen great-grandchildren; and a slew of nieces and nephews. The family will receive friends Wednesday evening from 6 – 8 PM at the funeral home.